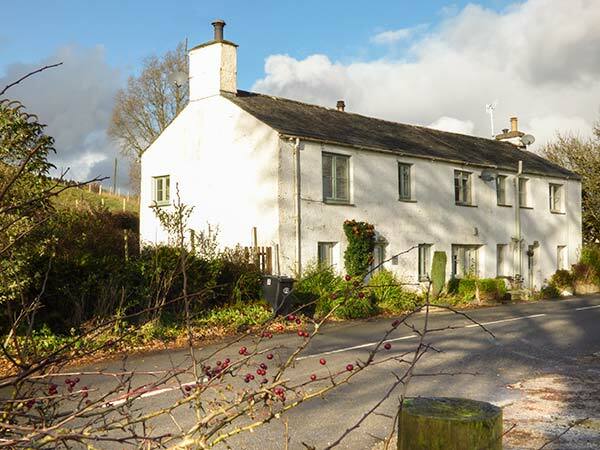 3 Vale View sits less than half a mile from the heart of Hawkshead in the lovely Lake District National Park. A charming, whitewashed end-terrace cottage, it offers upside down accommodation over two floors. There are two bedrooms and a bathroom on the ground floor, whilst on the first floor is a kitchen and a sitting room with dining area and cosy open fire. Guests can relax beside the warming flicker of the fire. Outside, the cottage is surrounded by sweeping countryside, with a side patio with furniture and BBQ, where you can enjoy the afternoon sunshine with an alfresco lunch. There's also off road parking for two cars set across the road from the cottage. 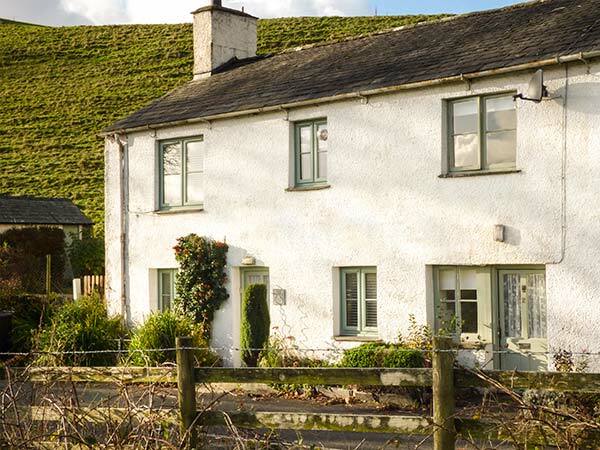 3 Vale View is a welcoming cottage in a wonderful area, perfect for your Lake District holiday. Reverse level accommodation. Two ground floor bedrooms: 1 x double, 1 x twin. Ground floor bathroom with bath, shower over, basin and WC. First floor kitchen. First floor sitting room with dining area and wood burning stove.